Like your nights out served with a ridiculously large slice of retro fun? 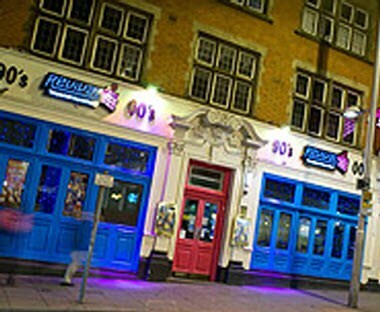 Then get your groove on atRevival in Nottingham where you can boogie your way back to the disco decade, re-create the days of tight perms (and even tighter trousers) and rave it up club-style all on the same night. Hen nights, stag nights, engagement (or even divorce) parties, office shindigs, birthdays, leaving dos... Whatever you're celebrating, you'll find the party right here at Revival in Nottingham.